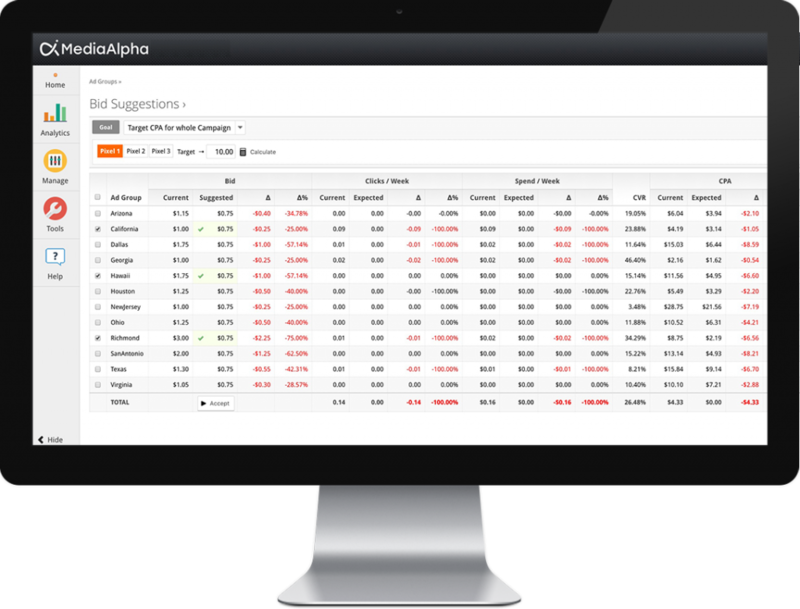 Amongst many powerful features built into the MediaAlpha platform, the Suggest Tool uses advanced machine learning algorithms and optimization tools, to enable platform users to make and easily implement better decisions with data. The Suggest Tool can be accessed within the Advertiser Manage module. Quickly adjust your bidding strategy to meet a specific CPA (cost per action) performance target. Suggest Tool CPA targeting can be driven off of any MediaAlpha pixels placed by the advertiser, or performance data imported in MediaAlpha for Advertisers. To utilize the tool, advertisers simply select which action optimization and define the target CPA for that action. The advertiser can elect to optimize bids to the selected CPA for each ad group, or for the campaign as a whole. The Suggest Tool will then deliver bid suggestions to achieve the CPA target. With a simple click of a button to accept the suggestions, the platform will automatically update bids for all selected ad groups. When advertisers need to quickly adjust volume, the Suggest Tool can be used to determine ad group bids to meet volume goals. Within the Suggest Tool, simply select the desired increase or decrease in volume. 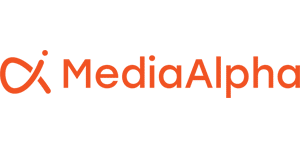 The MediaAlpha Suggest Tool empowers advertisers to unlock the power of machine learning and data-driven insights to make faster and more effective bidding decisions. For additional details on the Suggest Tool or other optimization features within the MediaAlpha platform, please contact your MediaAlpha account representative or request a demo today.